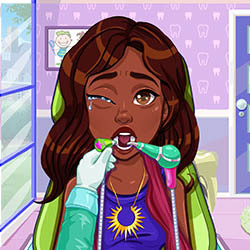 Description: Noelle has a dentist appointment because she has a tooth ache! Hurry up and help the doctor take care of Noelle's tooth ache. Brush her teeth , take care of her cavity, apply a filling, and distract Noelle so she won't feel a thing. Impress Noelle with your skills as a dentist.